The most deadly type occurs in Africa south of the Sahara Desert. The disease can be life-threatening. You can treat this disease with medicines. It is not a contagious disease. It will not spread from person to person. It is not sexually transmitted. 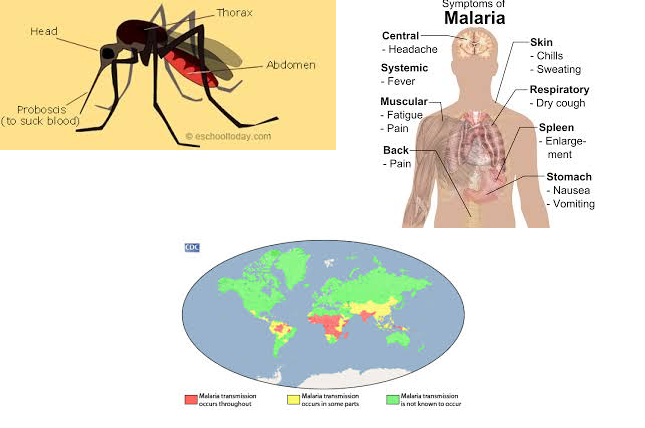 It will not get from casual contact with malaria-infected people, such as sitting next to someone who has malaria. Malaria can be cured with prescription drugs. The type of drugs and length of treatment depend on the type of malaria, where the person was infected, their age, whether they are pregnant, and how sick they are at the start of treatment. Cleanliness surroundings, using mosquito nets are easy and affordable than treatment.